Backing from Dubai’s royal family with Pakistan international airlines. The Government has received Dirham 14.6 billion from Emirates since dividends started being in 1999 for having provided an initial-up capital of US $10 million. Emirates catering in numbers here’s how much food the facility goes through each year. – 2.5 km overhead monorail. The finally-tuned operation caters 590 flights a day with authentic local cuisines giving customers a taste of the destinations they are going to. That is annual there are 7000 different menu items and 254 different soups in First class alone. 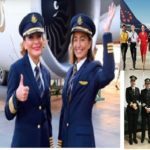 –World first airline to have its own aviation university and flight training academy. It equipped with the 14 bay center houses 10 full-flight simulators. -Emirates first introduced chauffer drive service for its passenger with the high end cars like Mercedes Benz, MNW and Volvo cars. The airline claims to have lower emissions than other airlines. It has invested in a program called “tailored arrivals” arrival air traffic control to uplink to aircraft en-route. That huge saving. It first determines the speed and flight profile from the air onto the runway, this allows the crew to accept and fly a continuous descent profile, saving fuel and emissions. Emirates A380-800 if offers fuel economy o f3.1 liters per 100 passenger’s km. save 500,000 liters of fuel per aircraft per year. It also uses a program called Flex Trek it helps optimize routes efficiency and load factors. -Emirates helped Sri Lankan airline to rebrand its national flag airline. In 2008, After 10 year’s Emirates sold its stake in the airline to the government of sri Lankan, in an estimated US$150 million. -World’s first airline to Ban animal hunting and Transporting through its fleet. 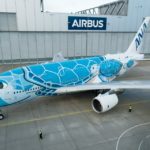 In 2015 its support emirates made its fleets with decked out two of its A380 superjumbo jets in special livery designed to support United for wildlife a global campaign against the illegal wildlife trade. -World’s largest floral installation through a life-size version of the Emirates A380. The hanger size is equivalent 17 football fields or 9 hectares area the hanger was opened in 2010. Choose from up to 3000 channel of movies TV shows, music, and games on demand and in multiple language. -The airline was the seventh-largest airline in the world in terms of international passengers carried. Sixth in scheduled international freight ton-kilometer flown. In 2017 emirates recorded +8% growth in traffic and +3% cargo transportation. Emirates operates a fleet of more than 250 aircraft. Emirates is also the world’s largest Boeing 777 operates with 151 aircraft in service. As of February 2019, Emirates is the largest airbus A380 operator with 109 aircraft in service and its introduction.